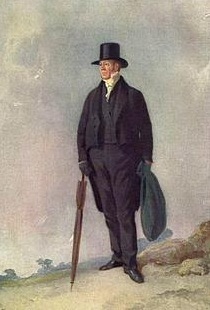 In the early 1840s, Sir Robert Peel nominated William Buckland as Dean of Westminster. Dean Buckland was a Canon of Christ Church, Oxford. He had also been a Professor of Geology and Minerology at Oxford University, had scientific interests and published articles on a wide range of subjects. The living conditions around the present site of St Matthew’s were appalling. Dean Buckland would have been aware of the consequences of these conditions on the people living close to the Abbey. The Dean was instrumental in the founding of the new church. This was one of the first initiatives which led to attention being paid locally to the condition of the poor and their spiritual welfare. The Dean and Chapter agreed to a donation for the building of what became St Matthew’s, Westminster on 13th February 1844. The following extract from the Westminster Abbey Chapter minutes is one of the first known references to the church. Sadly Dean Buckland’s career at the Abbey was cut short as he was taken ill in early 1850 and no longer attended Chapter meetings. The Dean’s daughter, Mrs Gordon, wrote in her biography of her father, that her mother, Mrs Buckland, continued with the plans for the alleviation of the poor in Westminster. Mrs Buckland corresponded with the first vicar of St Matthew’s after the church was built, regarding one of the projects. The grant from the Abbey was not enough to cover the full cost of building the church and so grant applications were made to at least two other bodies, HM Commission for the Building of Churches and the Incorporated Church Building Society.